The evolution of the mattress has been slow-going. Up until the 20th century, mattresses were filled with horsehair, rags or cotton and highly unsanitary, difficult to clean and lumpy. 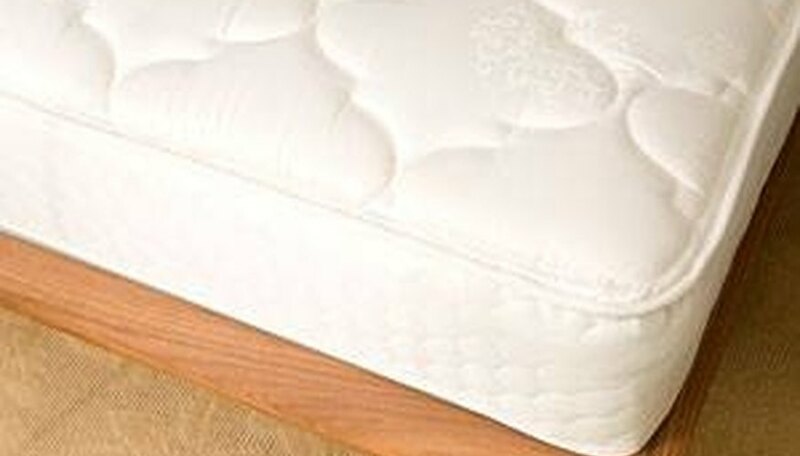 It wasn't until the 1850s that the first significant advance in mattress design appeared --- the use of uniform springs underneath the layers of upholstery. The costs of innerspring mattresses were prohibitive, however, and they were only available to hotels and luxury cruise ships who could afford them for their high-end clientele. Then along came Zalmon Simmons Jr., who found a way to mass-produce mattresses and make them affordable to American customers in about 1926. With a reliance on marketing that featured the benefits of a proper night's sleep, millions snapped up the new innerspring mattresses as a fundamental component of good health. The evolution of the mattress has been slow-going. Up until the 20th century, mattresses were filled with horsehair, rags or cotton and highly unsanitary, difficult to clean and lumpy. It wasn't until the 1850s that the first significant advance in mattress design appeared --- the use of uniform springs underneath the layers of upholstery The costs of innerspring mattresses were prohibitive, however, and they were only available to hotels and luxury cruise ships who could afford them for their high-end clientele. Then along came Zalmon Simmons Jr, who found a way to mass-produce mattresses and make them affordable to American customers in about 1926. With a reliance on marketing that featured the benefits of a proper night's sleep, millions snapped up the new innerspring mattresses as a fundamental component of good health. Surprisingly, the innerspring unit itself is often subcontracted out to a business that specializes in making springs. 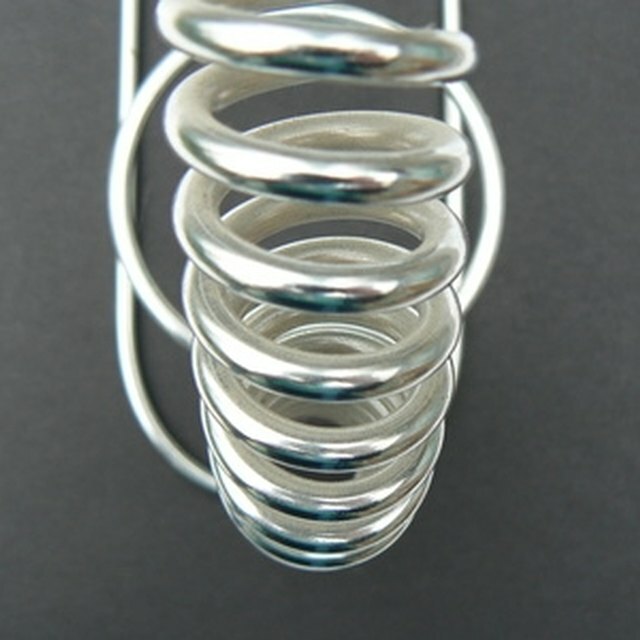 An assortment of springs is used, but the most common are the offset, bonnell, continuous and pocket The bonnell design is, for example, an hourglass-shaped coil and knotted at both ends. A similar coil, the offset, is shaped like the bonnell but flattened to facilitate a hinge. As per its name, the continuous is one extremely long steel wire shaped into S configurations. And finally, the pocket is sheathed in a fabric casing and can be connected to its neighbor The "core" springs are attached to each other with additional wire. There are between 250 to 1,000 coils in a typical mattress. If the steel wire were laid out, it would measure as much as 2,000 linear feet. The arriving spring units are inspected and moved on. The insulator layer is applied by hand. This layer can be composed of a somewhat inflexible wire mesh or netting, including polyurethane foam, polyester and other natural fibers. The insulator is fixed onto the innerspring --- this stops the next layer, the cushioning layer, from molding to the coils. Much of the comfort comes from the cushioning layer, and the number of layers can vary from two to eight layers in depths from 1/4 inch to 2 inches. While this process in being undertaken, the decorative outside cover is being sewn in another area of the plant. Made on a gigantic quilting machine, a huge number of needles attach the cover to its backing material. The stitching actually serves a dual purpose in that it prevents the mattress cover from shifting and makes a beautiful ornamental exterior. The quilted fabric is then cut into the top, bottom and side panels of the mattress. Side handles or vents are affixed to the sides at this time as well Then, too, critical inspections are completed at various points of the manufacturing process to ensure quality control, but are most generally done: after receiving the innerspring, before closing the unit, and before packing. 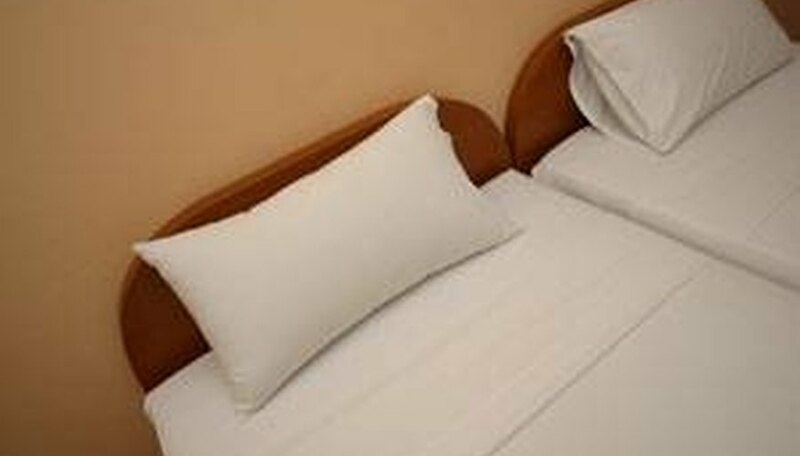 The flanges, a connecting panel, is attached to the mattress's quilting using large, round staples called "hog's rings" and done by specially made sewing machines. These rings are secured to the innerspring unit Then the panels --- top, sides and bottom --- are stitched together with border tape, a synthetic material that is stringy and durable. This closing operation requires the skills of a highly trained "tape edge operators" in that they feed the panels and binding tape as they move around the mattress for a professionally tailored product Many mattresses today feature a "pillowtop," which would be taped and applied at this time. The box springs are typically made in this manufacturing plant as well. It is a foundation unit composed of a wooden frame with slats or metal coils --- torsion bars optional --- and is surrounded by a fabric cover The completed unit is inspected, a content label is attached, and the finished product is moved to a packing area where it gets a protective cover made of either paper or plastic. A tag featuring fire resistant properties also is attached, a requirement that began in 1987 Most mattresses are standardized size-wise to comply with these measurements: the twin, 39 inches by 74 inches; a double is 54 inches by 74 inches; the queen runs 60 inches by 80 inches; and the king, 78 inches by 80 inches. Andrea Campbell is the author of 12 nonfiction books on a variety of topics. She is also an e-instructor, editor and columnist who has been writing professionally since 1991. Campbell, the daughter of a builder, writes frequently about home improvement. She uses her degree in criminal justice to write about forensic science and criminal law. What is the Difference Between a Toddler Bed & Twin Bed?